Plogue has released Alter/Ego, a new real-time voice singing synthesis platform, and Daisy, a bank of sounds for it and chipspeech. Alter/Ego is based on the technology featured in chipspeech. But instead of targeting vintage voice technology, Alter/Ego focuses on more 'modern' (1990+) singing synthesis algorithms and research. 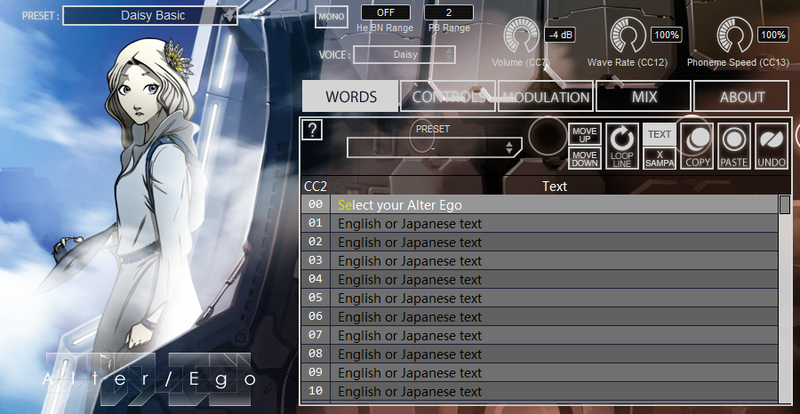 Alter/Ego is specially tailored for musical needs – a user can type in their lyrics, and then play on a MIDI keyboard. It's a true synthesizer, the sound can be extensively modified for expressive performances. Daisy is the first bank available and is also free. Voice banks will come in various styles and licenses. Daisy is also compatible with chipspeech (latest update needed).